Beef Muscle Meat Extra contains 100% pure beef with natural fat with some tendons and connective tissue. It is an important source of protein as part of an appropriate BARF Feeding diet. 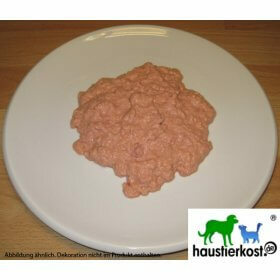 Feed material for dogs and cats. Beef muscle meat extra contains 100% pure beef with natural fat with only some tendons and connective tissue. Beef is rich in essential nutrients such as fatty acids and proteins. Suitable for all healthy species of any age.